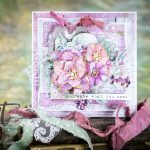 Hello everyone, Yvonne here with a super cute card using Rise ‘n Shine and Ella-Fant dies from the My Little Red Wagon Collection by Debi Adams and the Sun and Clouds Die D-lites. 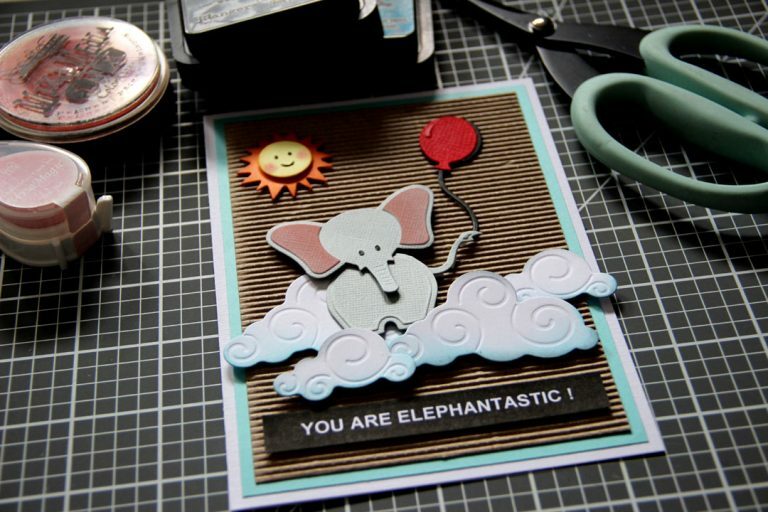 Cute animal cards are not just for little children; add a fun sentiment and your card will also make any grown-up smile! Let’s start making the card. 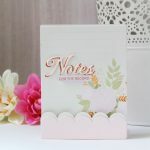 First make a card base: cut white cardstock 9½x6⅝” and fold to create a 4¾x6⅝”. 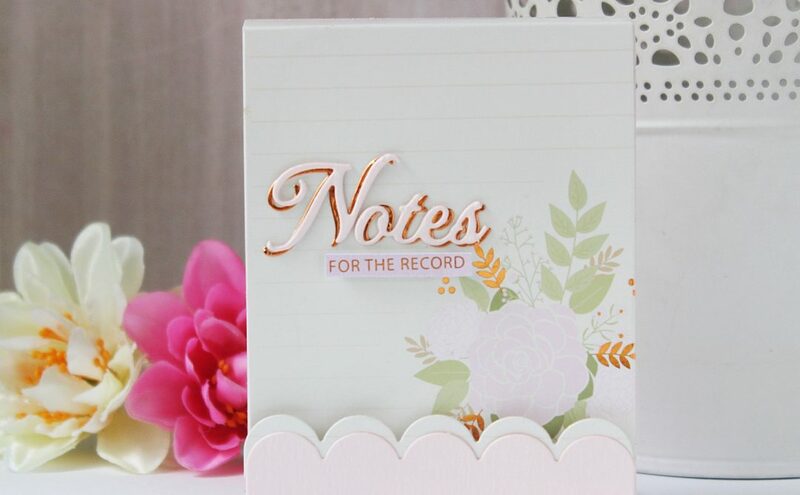 Cut blue cardstock 4½x6⅜” and glue upon card base. Cut kraft corrugated cardstock 4¼x6⅛” and glue upon card base. 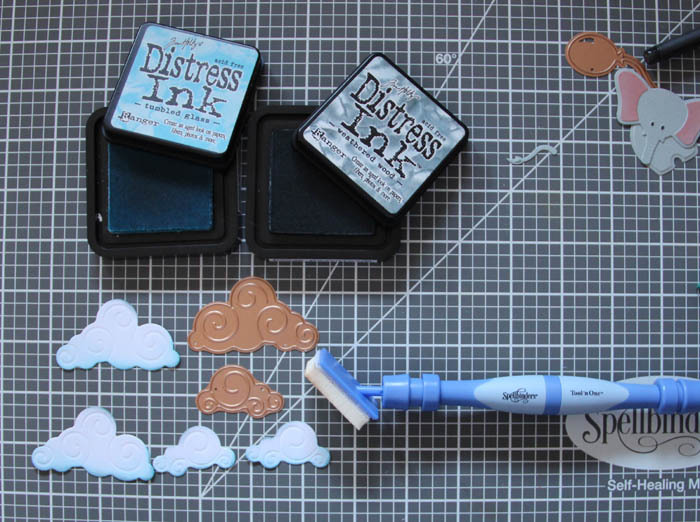 Cut/emboss Sun and Clouds: large cloud and small cloud each twice from white cardstock and ink the edges with blue and grey ink using the Tool ‘n One with Foam Applicator. Cut/emboss Ella-Fant front head, tail, body from grey cardstock. 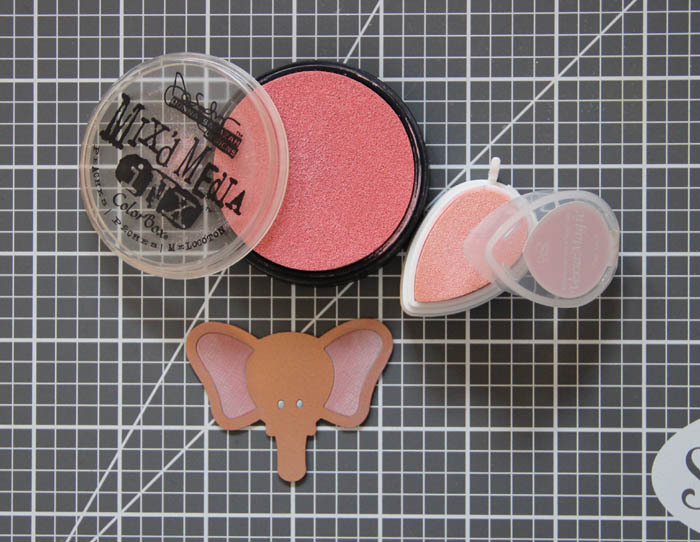 Leave the Ella-Fant head in the die-template and ink the inside of the ears using pink chalk ink and the Tool ‘n One with foam applicator. Add accents with a black and a white gel-pen. 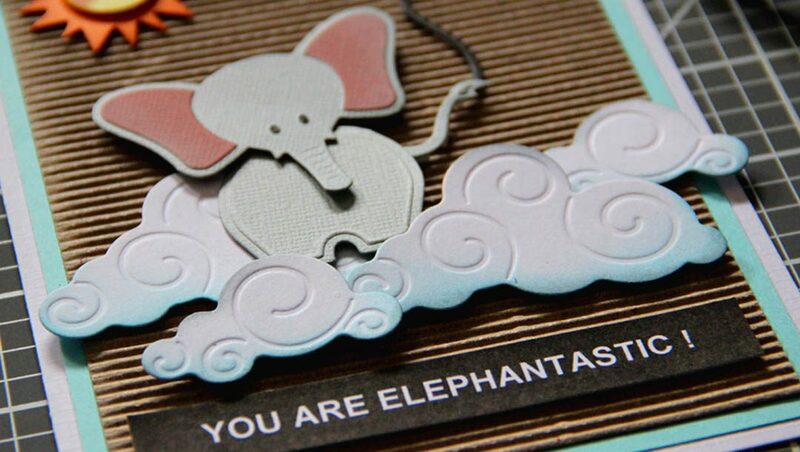 Cut/emboss Ella-Fant balloon from black and from red cardstock. Cut of the tail of the red die-cut and glue the red balloon upon the black balloon. 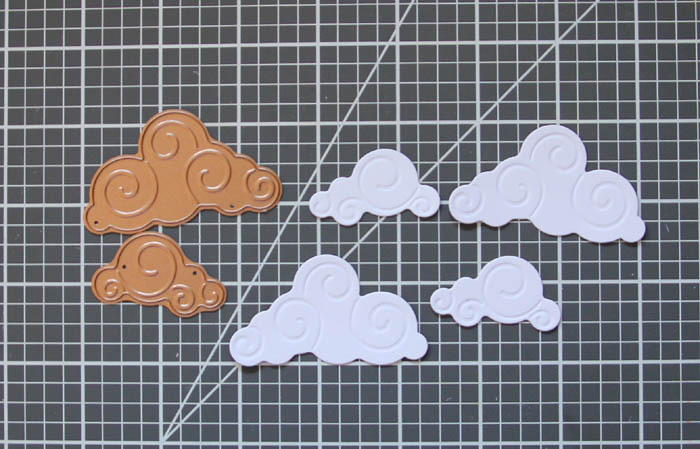 Cut/emboss Sun and Clouds Sun from orange cardstock. Cut/emboss Rise ‘n Shine round smiling face from yellow cardstock and accent the mouth and eyes using a black gel-pen. Glue upon the orange sun die-cut. 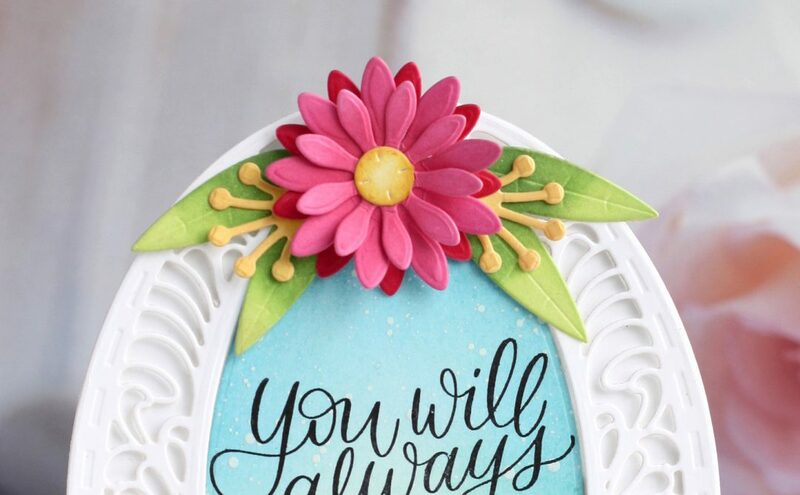 Print the sentiment on white cardstock, cut out and glue onto the card. I made the sentiment myself on the computer. Simply click on the image below and copy and paste to Word and print it out. 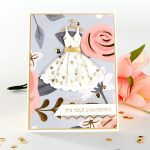 And your cute card is ready! Cardstock: white, blue, corrugated kraft, orange, yellow, red, grey; White and black gel-pens, blue, grey inkpads, printed sentiment; 3D foam tape, glue; Scissors, paper trimmer. I hope you enjoyed the tutorial. 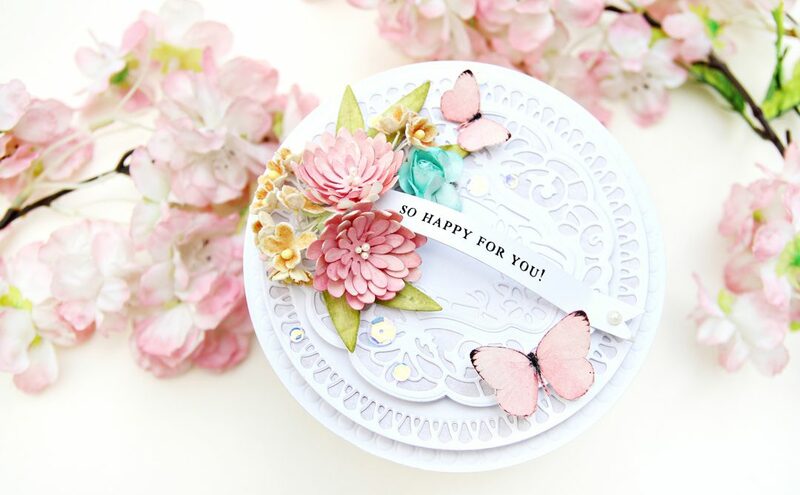 Wishing you happy crafting!